We first heard of the HTC Vigor a few weeks back, the phone was reportedly running Android 2.3.4 with Sense 3.5, an 8MP camera and a 1.5Ghz Dual core processor. 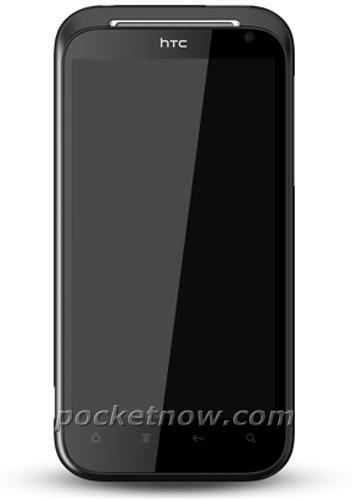 The best part though was the screen, which at 1280 X 720 pixels is going to be the world’s first HD screen for smartphones. 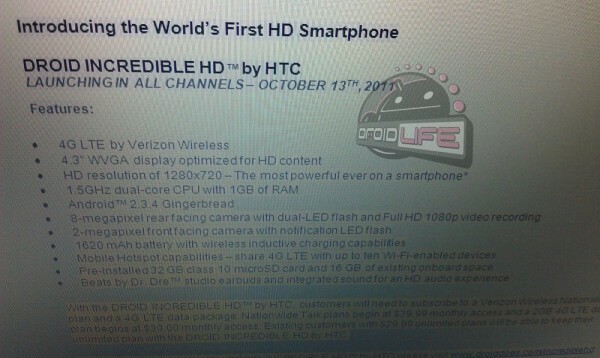 Now though it seems that the HTC Vigor will be arriving on Verizon as the Droid Incredible HD. The document you see below details the specifications of the Droid Incredible HD which match that of the Vigor, implying its the same phone with a name change. The spec sheet is pretty accurate with what the rumors have been saying except the device is said to have a WVGA screen which means a resolution of 720 X 480 pixels and just a few lines below that it says it has a 720p 1280 X 720 pixel display. This could mean two things. Firstly, this could be a fake document, secondly the writer simply made a mistake in writing WXGA as WVGA. Incase the document is fake, you can forget about all this whole story and move on, if its not though, we could be seeing a Verizon Incredible HD a.k.a The HTC Vigor soon.